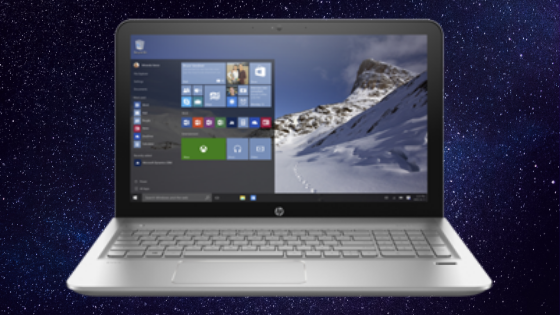 You can customize the lock screen of Windows 10 – that home screen, where you enter your password to unlock the computer. There are several ways to do this and make your lock screen more beautiful and functional. The lock screen is something that you look at every time you sit in front of the computer, so it deserves a deal. In addition to getting a cooler look, the Windows 10 lock screen can be more than just a password entry screen. You can configure it to show application notifications, calendar events, plus date and time, add your own photos in the background, or let Windows add rotating images. To change the background of the Windows 10 lock screen, follow the sequence: Start button> Settings> Personalization> Lock screen. Try changing the background for a slideshow or your favorite photo, or choose any combination of detailed and quick status notifications to show future calendar events, social networking updates, and other notifications. Before you begin, note that if you do not see the option to change the background image or something, it may be that the configuration is managed by your organization (work or school). See your system administrator for more information. You have three options for setting a new background for the lock screen: Picture, Slideshow, or Windows Spotlight. The Image option lets you choose one of your photos stored on your computer in the background, and the slide show lets you choose a folder that will cycle through a collection of your favorite photos. If you do not know what to choose, Windows Spotlight selects high resolution photos from the Bing homepage periodically. Believe me, the photos are really beautiful and you end up earning holiday travel tips. Under “Background,” choose one of the three options above. The login screen is the one where you actually use your login and password credentials – and that appears when you tap the lock screen to start using your computer. You have two options for the login screen background: a solid color or the same photo displayed on the lock screen. To change this, go to “Settings”> “Personalization”> “Lock screen” and activate the “Show lock screen background image on login screen” option to continue using the same photo. If you turn off, your login screen will display a solid color. Go to “Personalization”> “Colors” and choose a color. You can add up to eight applications that will display their fast-viewing status – one application can display detailed statuses, and seven applications can display fast statuses. To choose what these applications will be, in the “Lock screen” settings, click “+” to add them. The first is detailed, the other simple. If you do not want to show apps on the lock screen, click on each box and set it to “None”. Applications that can display status include Weather, Skype, Calendar, Mail, Shop, and Xbox. They vary depending on the applications installed on the PC. If you like to chat you can put the Cortana, but you need to be aware that anyone will be able to talk to Cortana without unlocking your computer. To activate the feature, you must follow the path “Settings”> “Cortana” and activate the option “Use Cortana even when the device is locked”. Permission refers only to allowing the voice assistant to perform basic tasks such as searching for information about a search or weather while the device is locked. If you are interested in the possibility of Cortana accessing your personal information and doing things like scheduling appointments for you and leaving reminders, check the box “Let Cortana access my calendar, e-mail, messages and data from Power BI when my device is locked”. If you use your work computer in a room with lots of people – some unfamiliar, even – you may be interested in increasing your privacy. Note that Windows 10 allows you to hide your email address from the computer login screen. You can hide your contact by going to “Settings”> “Accounts”> “Login options”> “Privacy”> “Show account details on login screen” and disable this. Lock screen notifications may or may not be convenient depending on the content. What you need to know is that because they are in the lock screen, they can be read by anyone who has access to your machine, even if it is just by your desk. To turn notifications on or off, go to “Settings”> “System”> “Notifications and actions”> “Show notifications on the lock screen”.